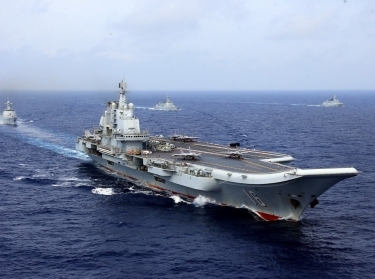 >Is a Sustainable Peace Possible in the Taiwan Strait? Nothing close to a peace accord was agreed to during the Xi-Ma encounter despite seven years of cross-strait warming under Ma, underscoring how difficult a peace will be to reach even under the most favorable circumstances. Mutual suspicion and Beijing's concerns over future Taiwanese leadership may have prevented any genuine breakthroughs. Xi likely had ulterior motives in meeting with Ma at that juncture. In late 2015, Tsai Ing-wen of the opposition and independence-leaning Democratic Progressive Party (DPP) was considered Ma's near-certain successor. 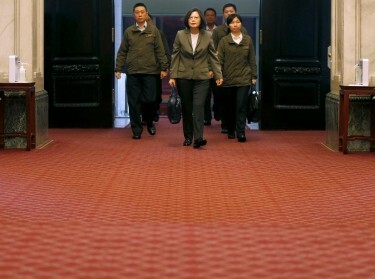 Beijing may have figured that by engaging Ma, it could undercut Tsai's future administration. Xi also likely hoped that the Xi-Ma discussion might lock Tsai into agreeing to the so-called 1992 Consensus—China's preferred sovereignty formulation emphasizing “One China” but allowing for different interpretations (until recently)—as Ma had already done so. For its part, Taiwan did not pledge to forgo future independence activities that Beijing commonly labels as “separatist.” The Xi-Ma meeting may have been the best missed opportunity yet to forge real and lasting peace over the seven decades of tension across the strait. Regrettably, the situation today is heading in the exact opposite direction. Just this past week, Xi and Tsai gave dueling speeches on the sovereignty dispute. In her annual New Year's Day address, Tsai unveiled her “four musts,” saying Beijing must recognize the island's existence, respect Taiwan's freedom and democracy, deal with it peacefully and on equal terms, and only communicate through government-authorized channels. The following day, Xi commemorated the 40th anniversary of China's “Message to Compatriots in Taiwan” by dispensing with the notion that the 1992 Consensus allows for “different interpretations” of “One China” and instead equating it exclusively with the “One China Principle.” He also emphasized “one country, two systems”—envisioning one China, but with different governments—as the future cross-strait political framework. Tsai then responded by saying that “we have never accepted the 1992 Consensus” and Taiwan “absolutely will not accept 'one country, two systems. '” Indeed, the “cold peace” that has prevailed in the strait since Tsai's election in January 2016 is getting even frostier, making a peace deal seem increasingly remote. Most of the burden for this failure falls on Xi's shoulders. Xi has tied reunification with Taiwan to his “Chinese Dream” of national rejuvenation. But Xi, unlike former presidents Jiang Zemin and Hu Jintao before him, has used Taiwan's recognition of the 1992 Consensus—again, now equal to “One China”—as the exclusive litmus test for whether Taipei's intentions can be trusted in cross-strait relations. 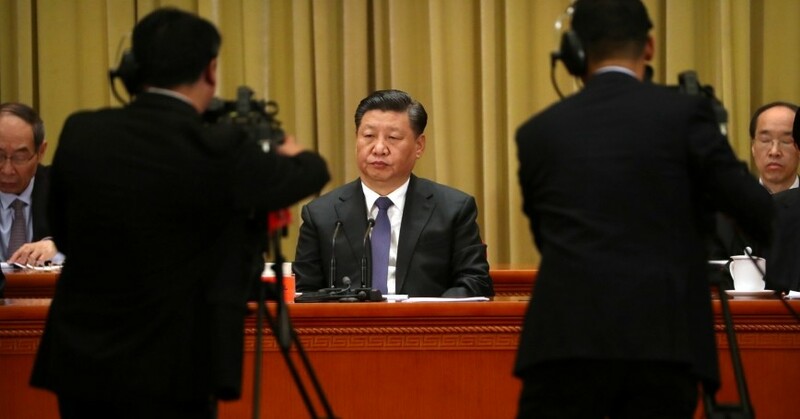 In his 19th Party Congress speech in 2017, Xi urged Taiwan to “recognize the historical fact of the 1992 Consensus and that the two sides both belong to one China, and then our two sides can conduct dialogue.” This is in stark contrast to Hu's omission of the 1992 Consensus from his 17th Party Congress speech in 2007, and his mention of it in passing, and not as a prerequisite for further cross-strait exchanges, in his 18th Party Congress speech in 2012. Moreover, Xi's decision to re-emphasize “one country, two systems” did not begin last week. During his 19th Party Congress speech, Xi said, “we must uphold the principles of 'peaceful reunification' and 'one country, two systems'…and advance the process toward the peaceful reunification of China.” Xi's re-inclusion of the framework to describe the desired end state of China-Taiwan relations is significant. Deng Xiaoping created the expression in the 1980s, but not since his time has leadership elevated it to characterize the preferred means for Taiwan's integration with the mainland. For Taiwan's part, Ma's decision to recognize the 1992 Consensus makes him an outlier in Taiwanese politics. Taiwan's overarching policy has consistently reflected Taiwanese citizens' widely held belief that the island prefers to maintain the peaceful, albeit ambiguous, cross-strait status quo. Of course, there is debate over how to do that and whether Tsai's refusal to acknowledge the previous 1992 Consensus would be wise over the long term. Nevertheless, Tsai has been consistent in her message that her priorities are to protect the free and democratic way of life in Taiwan, defend the island's sustainable development, and maintain cross-strait peace and regional stability. 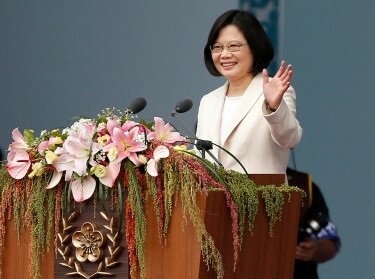 She has also made numerous overtures to Beijing for peace during her two-plus years as Taiwan's president. Press reports last summer indicated Taiwan was trying to facilitate a Tsai-Xi summit—based on Taipei's traditional approach of no political preconditions—but this seems unlikely given high tensions. Tellingly, China has never publicly responded to Tsai's overtures. Recent local election results in Taiwan will probably make cross-strait relations worse in the run-up to the January 2020 presidential elections. The DPP's landslide losses to the opposition Kuomintang (KMT) may have emboldened Beijing to assess that its pressure strategy—including in the diplomatic, economic, and military spheres as well as in influence operations such as election meddling—is working against the island. Even though the DPP losses could mainly be attributed to domestic policy shortcomings, Beijing probably feels that at least some of Tsai's loss in political altitude is due to the pressure campaign. The DPP's election troubles have also created new complications for the party and thus cross-strait relations. Tsai felt forced to step down as DPP chairwoman, making it far more difficult to remove independence language in the DPP charter as a potential concession to Beijing in lieu of recognizing the 1992 Consensus. In addition, Lai appears to be positioning himself for a presidential run. The premier is more forward-leaning on independence than Tsai and is relatively popular despite serving in Tsai's administration. Beijing will likely look to stop his rise, but in doing so, Chinese leaders may end up propelling his candidacy, creating a thornier situation in 2020 if Lai were to win. Either way, between now and the next Taiwanese presidential election, the prospects of forging a sustainable peace are exceptionally low. Both Xi and Tsai are dug into their respective positions. And Xi's new prioritization of the 1992 Consensus and “one country, two systems” is likely to unnecessarily make the situation even tenser. Following Xi's speech, the more China-friendly KMT essentially rejected his demands. If the DPP and KMT positions coalesce in opposition to China, this would be a nightmare scenario for Beijing. Hopefully Xi reassesses his position to stem such an outcome, but his recent doubling-down suggests—at least for the time being—that China believes it has the upper hand. Derek Grossman is a senior defense analyst at the nonprofit, nonpartisan RAND Corporation. He formerly served as the daily intelligence briefer to the assistant secretary of defense for Asian and Pacific security affairs at the Pentagon. This commentary originally appeared on Foreign Policy on January 7, 2019. Commentary gives RAND researchers a platform to convey insights based on their professional expertise and often on their peer-reviewed research and analysis. Previous Blog PostEconomic Officers for the FutureNext Blog PostThe End of the End of History?